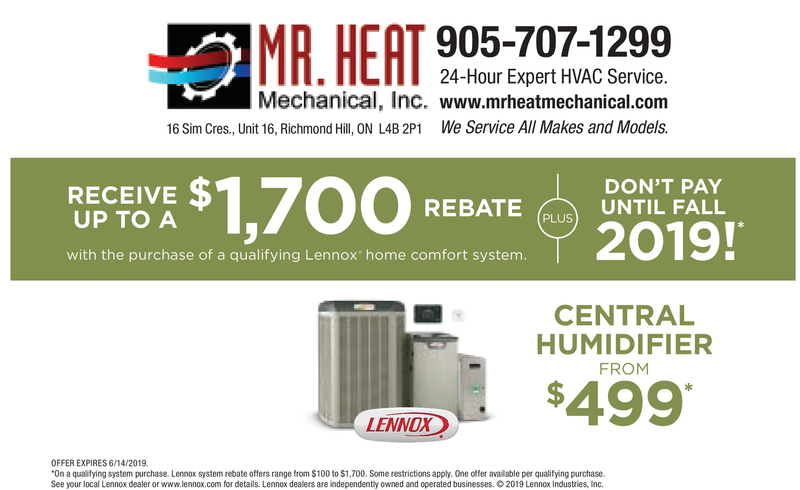 Mr. Heat Mechanical Spring 2019 Promotion EXPIRE JUNE 14,2019. Plus 6 Month Payment Deferral or 4.95% APR for 24 Month. Offer Valid from MARCH 11 to JUNE 14-2019. O.A.C.